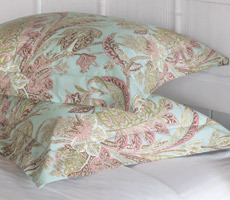 Nancy Koltes Bedding Toulouse Duvet & Shams - Swatches may be available. Nancy Koltes visited a friend in Lyon, Toulouse and the south of France, a historic weaving center for paisleys. 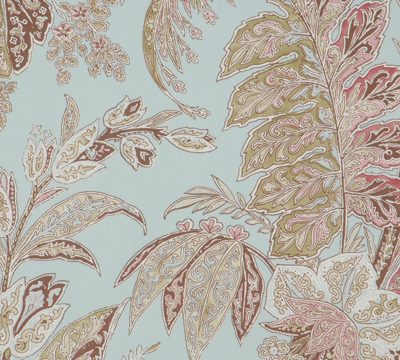 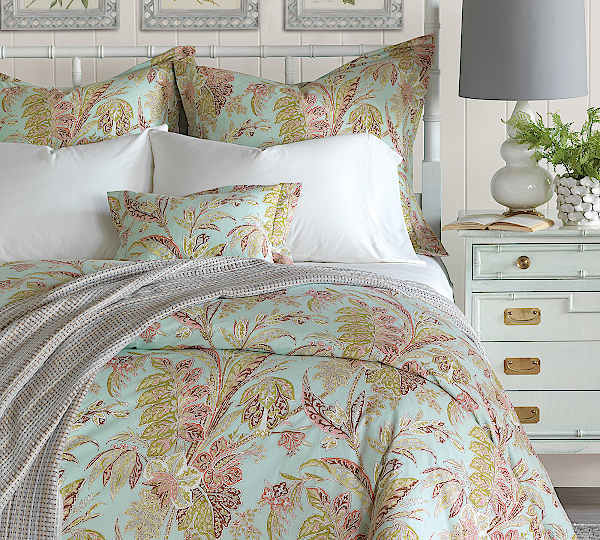 She was inspired to create this bedding after paisleys made a resurgence in homes. 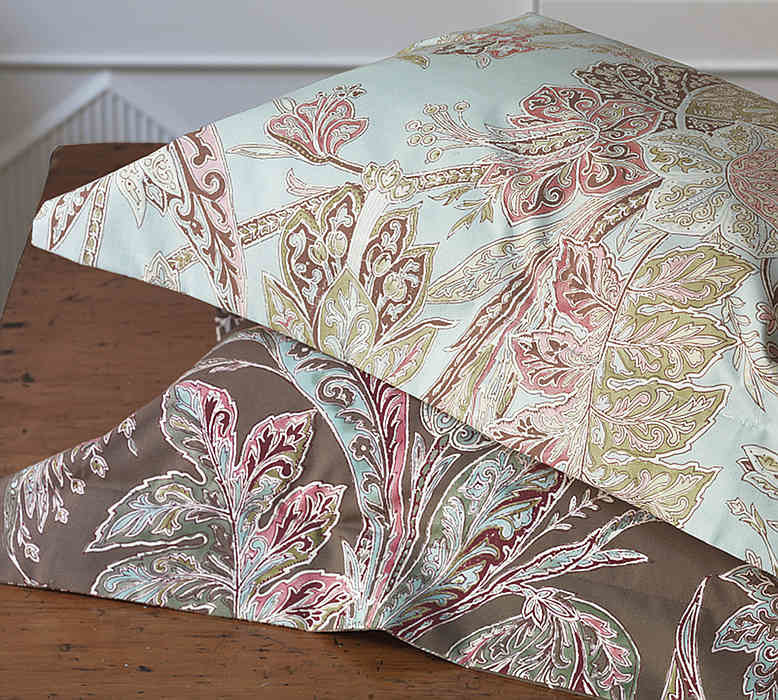 Nancy Koltes created and named this large scale paisley print bedding in vibrant colors after her vivacious friend from Toulouse.